Posted on November 17, 2017 by Stephen Dexter, Jr. In one of my finer moments as an educational leader, I stood in front of an assembly of 400 students and stuck a microphone in front of a 10th grader, asking him to tell us what the mission statement meant to him (cue the mic squeaking). His eyes widened as his friends leaned back away from him as though something terrible was about to happen (which it was). “Please don’t” he mumbled into the mic. The entire assembly cracked up. I think I recall offering to pay for the boy’s therapy later. Or at least a few rounds of medication. It was pretty bad. But as they say, what doesn’t kill you makes you stronger. It has been fun to witness the sea change taking place in education, particularly around innovation and designs around learning rather than testing. But one thing is starting to really scare me. I saw my first “creativity rubric.” Now, ever since I saw Sir Ken’s famous talk about schools killing creativity back in 2007, I have been somewhat obsessed with learning environments that are relevant to what students need to know and be able to do in the next generation. I’ve seen the concept of ‘design’ turned into a curriculum, coding and STEAM, robotics, maker spaces and some pretty good attempts at personalized learning. It’s all good-intentioned stuff and seems to tinker (pun intended) around the edges of the type of skills students need. Then I went to a workshop on innovation and saw a creativity ‘rubric’ and thought. Oh….My….God. There are so many things that schools take responsibility for in the lives of people, everything from socio-emotional development to music to math to ways of thinking, etc. etc. and for the most part they do a pretty good job. But teaching creativity is the one domain that is going to possibly destroy the very thing it is trying to….create. I can see it now; Creative Academy. Creative Tutoring. Creative Communities. Creative Commons. Creative Classes. Creativity Labs. Creative Conferences. Creative Rubrics. I consider myself to be fairly creative. None of it I learned in school. I learned it from hiking in the mountains, praying in Buddhist temples, snorkeling in crystal lakes, lying under majestic palm trees, reading magical pieces of literature, and talking to cab drivers, lots and lots of cab drivers. My life has been open to opportunities that have made me feel very lucky to have had such opportunities to nurture my creativity. I am filled with “what ifs” and “why nots” (which often get me in trouble). I really don’t know if we can teach this. 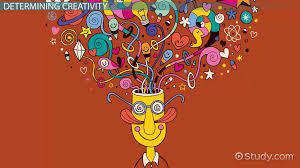 A creativity rubric is going to formulize the process of being creative. It may even end up with a grade. Can you imagine getting a grade in creativity? (I have no idea how art teachers manage). What I do know about creativity is that it is deeply rooted in being curious. It is rooted in that ability to transcend your present experience, put yourself into something new, and have all of your senses absorb everything that it can. One of the most creative days I ever had in my life was after climbing the ancient rickety steps of a crumbling castle in Ireland that was traced back to my ancestors. I wrote a story non-stop for six hours after that day and I’ll never forget it. If you can teach a child to be curious about the world around him or her, then so be it. If you can teach a young person how to strike up a conversation in another language with a man fixing shoes on a side street in Bangkok then so be it. If you can develop in young people the mindset to write a poem in the pew of an ancient church in Lisbon on a rainy day, then all the more power to you. But whatever you do, please, please don’t turn creativity into a rubric. Stephen is an international educator and administrator. A native of the United States, he lives with his wife Stephanie (a specialist in families in global transition) in Croatia along with his daughter and son. With a career that spans over twenty years in public, private and international schools, he writes when he can and is on a quest to discover if "text walking" is changing the human brain. This entry was posted in Forrest Broman, Stephen Dexter and tagged 21st century learning, creativity, disruptive innovation. Bookmark the permalink. Nice piece. I am always amazed how ‘we’ return to the basic of what children are born with – insatiable curiosity, desire to explore, and the confidence to attempt almost anything and learn from the results. We focus so much effort and thought on instilling something that innate in almost every single human child. I believe the reflections should be what happens to these vital forces? Why are they depleted or submerged into a world that emphasizes compliance with rules established in an Industrial Age mentality? I know I have been able to tap into with all middle school students and nurture and feed the curiosity. It is a greater challenge with high school students, yet possible. I believe it starts in primary-middle school years. That is where the hard questions should be focused.